On arrival at Cochin International Airport and proceed to Munnar.On the way visit the water falls of Valara and Cheeyappara.Check in to the Hotel at MunnarOvernight Stay at the Hotel. After Breakfast Check in to Deluxe houseboat for an overnight cruise through the unique back waters of Kerala. Houseboat will be your transportation for the day and accommodation for the night. 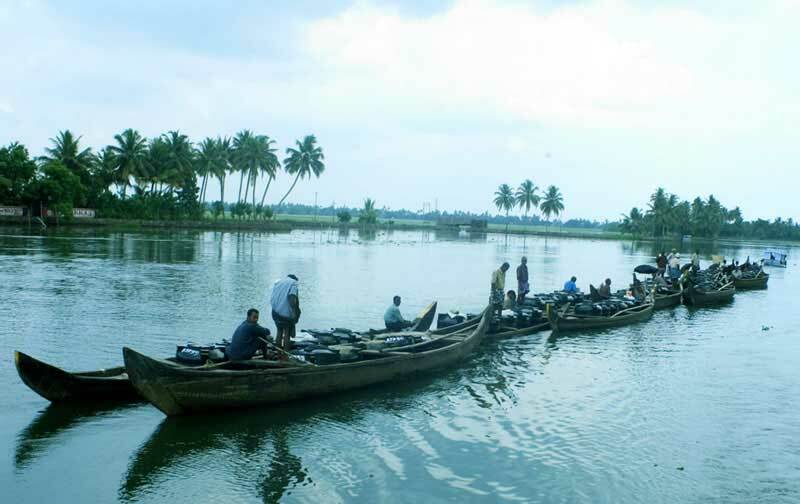 Glide along the narrow canals laced by the infinite greenery imparted by coconut palms, watch the gentle and soothing greenery of paddy fields and the village folk at work. Relax on board listening. After Breakfast check out proceed to KovalamLighthouse Beach, Hawa Beach and Ashoka Beach – the three together form the famous crescent of the Kovalam beach.Relax on beachesOvernight stay at Resort.